Tis’ the season for baking Christmas cookies! You HAVE to try these Toffee Chocolate Cookies this year. 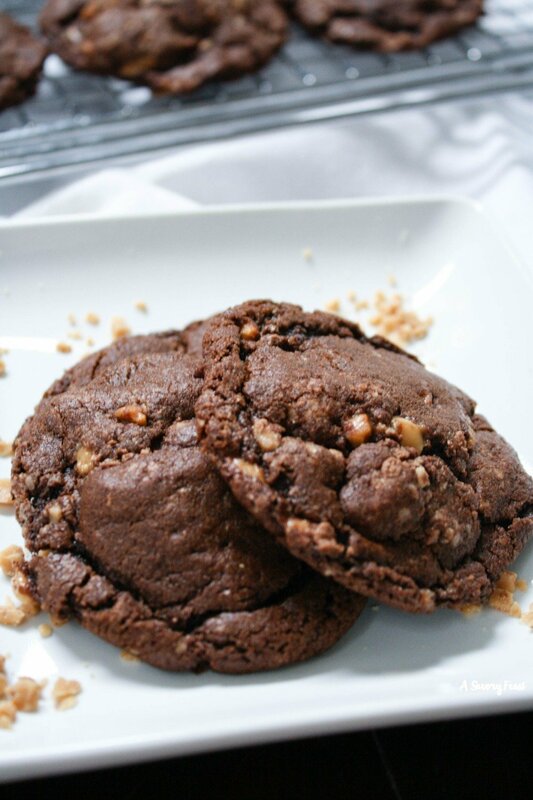 A soft, rich chocolate cookie packed with toffee bits. These will disappear at your holiday party, cookie exchange or family gathering. 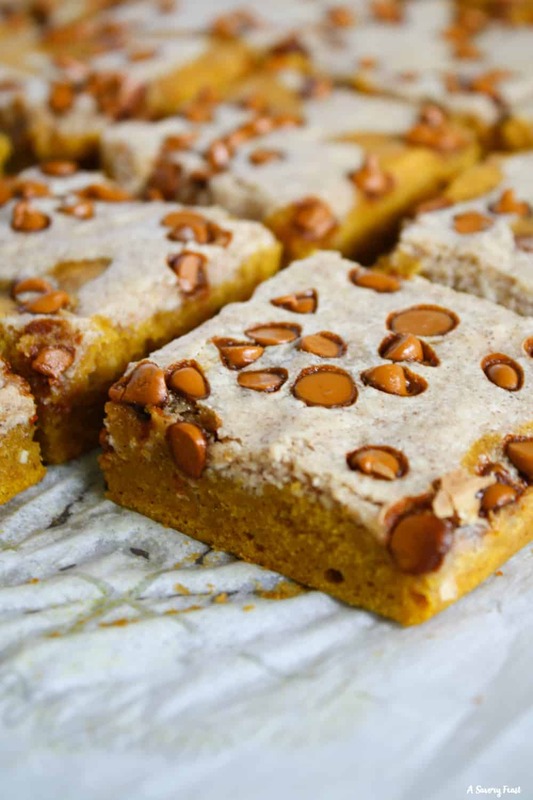 Cinnamon-Swirl Pumpkin Bars need to be on your Fall baking list this year! A simple pumpkin bar base swirled with a cinnamon cream cheese mixture and topped with cinnamon chips. This dessert is packed with your favorite Fall flavors! This post was sponsored by ALDI USA. All opinions are my own. Thank you for supporting the brands that support A Savory Feast! Your Halloween party isn’t complete without a dessert like Halloween Pumpkin-Shaped Cookie Cake! 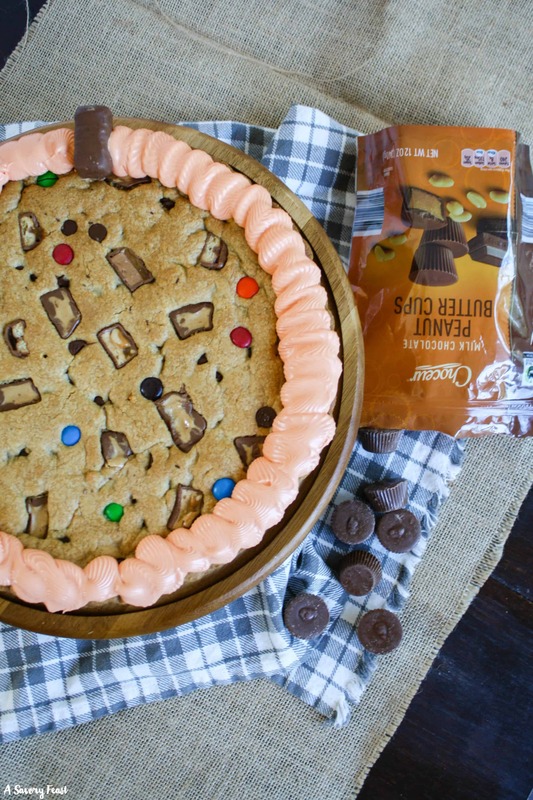 A classic cookie cake with pieces of peanut butter cups and other Halloween candies baked in. Decorated with orange frosting to look like a pumpkin. Need a quick party appetizer? 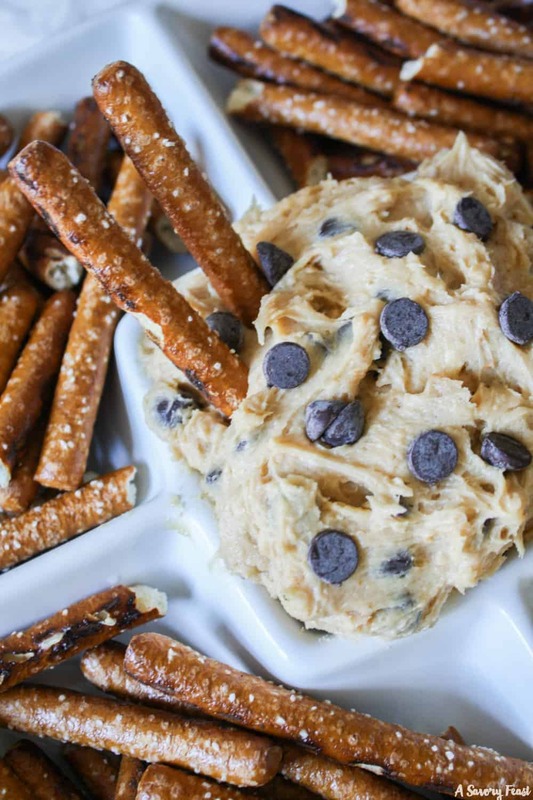 Chocolate Chip Peanut Butter Dip is sure to please! Made with just a few ingredients that you probably have on hand, this dip is great served with pretzels, graham crackers or vanilla wafers! Decadent homemade truffles are easy enough to whip up anytime! 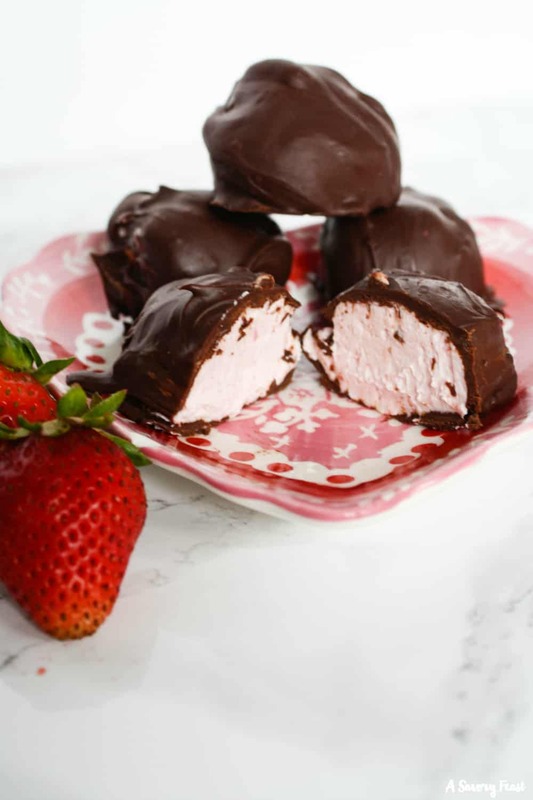 Chocolate Covered Strawberry Truffles are filled with a strawberry cream cheese mixture and covered with chocolate!